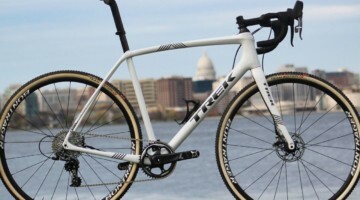 A year ago, we took a First Look at the made in the USA Wraith Paycheck, and In Issue 28, we gave an extensive review of the full build with a SRAM Rival 22 groupset and Novatec CX D clincher wheels. We offer a sneak peek of the review today, including the our observations for the frame and the build. For our impressions of the ride and our final verdict, be sure to order your backcopy today, which is also available on Uberflip, in the App Store on iTunes, and on Google Play for Android. 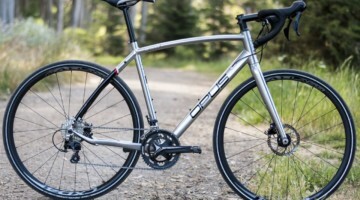 Back in the day, steel was the primary material for frame manufacturing, and the big name steel tube producers, such as Reynolds and Columbus, battled to produce the finest steel alloy, allowing the builders to make a lighter, livelier bike. Reynolds had its 531 manganese-molybdenum, but Columbus held the mystique with its SL alloy. 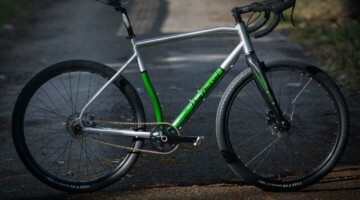 More than three decades later, even with aluminum and carbon technology making advancements by leaps and bounds, steel still has great appeal for both cyclists and frame builders, mostly for its beauty and sublime ride. Columbus steel has a lure among the cognoscenti—despite newer producers becoming prominent in the game, such as Dedacciai and True Temper. Put any of these steels in the hands of a fine builder, and the result can be magic. Adam Eldridge made his name as the builder of Stanridge Speed Bicycles, and his handmade, custom bikes gained a fast following with humble roots in Columbus, Ohio. 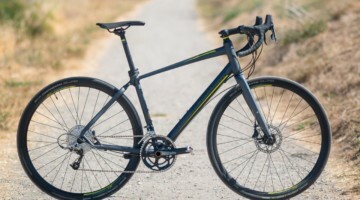 He started Wraith as a line of stock frames built from Columbus Niobium steel alloy, making quality, master craftsman-built bicycles more accessible—and priced affordably, too. Chris Iglehart, a custom builder in his own right for more than 20 years under his own name and brands like Fat City Cycles, welds the frames for Wraith at his shop in Portland, Ore. Put the two together and it seems a frame from Wraith Fabrication would be hard to beat. 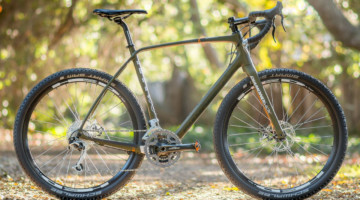 We rode the Wraith Paycheck: A disc-only, TIG-welded frame made of Columbus Life niobium steel tubing, priced at $1,350 for a frame with full carbon tapered-steerer fork. The Wraith Paycheck competes with the Milwaukee Bicycles Mettle, reviewed in Issue 26 as another American-made stock steel frame. Though we reviewed the Wraith as a complete bike, the focus of this build is all about the beautiful TIG-welded, powder-coated frameset constructed of Columbus Life Niobium steel tubes. The tubing diameters used on the Wraith Paycheck are considered “oversized” even for modern steel alloys, with a 31.7mm top tube diameter and a 35mm down tube diameter that still feels slender in the hand as the frame is hoisted. The top tube just a couple of millimeters larger than what has become the steel standard, but “oversized” compared to the 25mm top tubes of yore. The Columbus Life main tubes are thin-walled, double-butted (.6/.4/.6mm) steel, employing Columbus’ latest technology and highest quality. 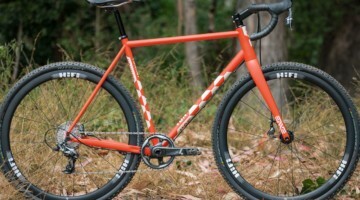 The geometry that Eldridge uses for the Wraith breaks somewhat from the norm of cyclocross bikes, with slightly longer chainstays and a shorter front center than you might expect. Our size L frame has a 57cm seat tube combined with a 56cm effective top tube. Though the seat tube angle is a common 73 degrees, the head tube is steeper by a half degree at 72.5, yielding a slightly short front center of 59.5cm. Combined with the 43cm stays that yields a 101.5cm wheelbase. 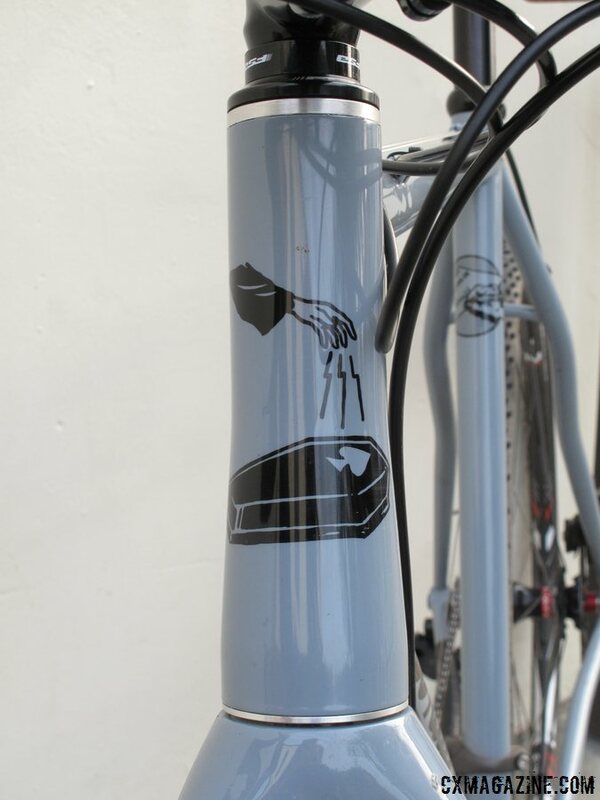 The TIG welds are hidden beneath the pale-blue powder coat, adorned with offbeat graphics. The welds appear consistent, smooth and even at every joint. The Wraith uses Columbus Zona s-bend chain and seatstays, the former being vertically ovalized to yield the most massive tire clearance we’ve seen since the carbon Bailey that won our 2014 Editors’ Award. A 50c or 1.9” 29er tire would easily fit in the back. 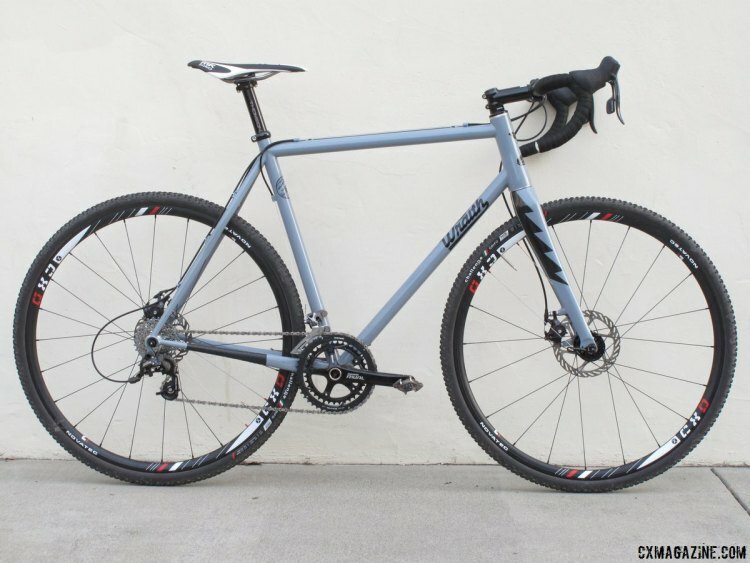 Mud clearance is generous with cyclocross tires, exactly what you would expect for a bike built in Portland. The seatstays are bridged, however, with an arching tube high above the tire. I don’t think they are stating that tire clearance is a “new innovation”. It’s just a specification they are listing.